Uhmmmm. Those look like shells to me? There weren’t many WHELKS, TULIPS or CONES but this is how I look at it… if JUNONIAS and ALPHABET CONES were washing up on the beach every day, we would never see or learn about anything else that washes up on the beach. It would be nice at first seeing an ALPHABET soup of JUNONIAS but after a while it would kinda get old to people who come to the island every year. We do that with FIGHTING CONCHS at times. There’s no denying FIGHTING CONCHS are gorgeous shells but if you already collected 10 of them, you start to look for something else. So I always look forward to the days that make me slow down to look more closely to the shells I normally don’t “see”. Today I saw BROAD-RIBBED CARDITA shells. BROAD RIBBED CARDITAS are always on our beaches. I mean ALWAYS… but most of them have been sun bleached or worn so they look like lots of the other white BIVALVES. They are one of the most common shells in Southwest Florida but today they caught my eye because they were so colorful. Each one has a different color range of orange with some having stripes and some look like polka dots. Beauty is in the eye of the shell holder. These would be great craft shells for frames! Yes, those CARDITAS were pretty orange but this LETTERED OLIVE was my fave find of the day. Oh wait- I take that back! This 33 inch, 15 pound SNOOK was my fave find of the day! I love everything there is to do on the beach and fishing is just one more thing I think is very cool. Just like shelling, you just never know what you’re gonna find. Some days you catch the big one and some days its just a nice excuse to be out in the sunshine. Errrrrr…..Okay, I’ll fess up. This is kinda a fish tale…. “my fave find” was actually caught by a guy named Steve but I couldn’t wait to get my hands on that beautiful fish. I “found” it in Steve’s hands. Hahahaha. i Love Fishing too so next time I wanna reel one in! Hey, Dont forget… Monday March 16, 2015 – Congress Jewelers are showcasing my Shellography with a wine and cheese gallery reception from 11am- 3pm. I’d love to meet y’all! Bring your fave finds in if you want me to ID them. Thanks, Pam, for explaining about the sea whips attached to the ponderous ark. I saw them when we were there in Feb. and wondered what was going on with them. You have encouraged so many of us shellers to keep looking. I meant to get a hat, but forgot to speak to you about it. Hope to get back to Sanibel next year. Broad ribbed Cardita is one of my favorites of late too! you can find quite a good variety of colors and patterns, from almost pure white (no pattern) to solid black to everything in between. Its pretty clear that the colors of the shells when they are alive or fresh (empty pairs) are more muted than when they have been out in the sun for awhile, but they are quite pretty either way. And they are so sturdy you don’t have to worry about them breaking or having to cushion them in anything. I get excited about coming in May when I see your posts! I have collected enough of the Carditas to display in a clear jar and they are striking all together. Any shell that a little creature used to call home is amazing. My goal this year in the short week there is to find a shark tooth hidden in all those tiny pieces of shells somewhere on Sanibel (wish me luck). My daughter and I will miss your excursions in May, but maybe we will have to plan to come back! All the best in your show next week!! Love seeing that gorgeous Snook..&all the colorful broad ribs! have an awesome showing Monday!!!!! Pam, I fell in love with Carditas when we visited Sanibel for the first time last November. I had never seen them before, and something about them is so beautiful to me. I struggled for a while to even learn their name, as I couldn’t find them on most Sanibel shell posters or identification pamphlets. I finally found them on your page….silly me, I should have started here!!! Thank you for highlighting them with this entry. My daughter found a Cabrit’s Murex, but I love my little carditas just as much! Thank you! When I was in Sarasota last time I found lots of those Broad-Ribbed Carditas and didn’t know what they were. All I knew is that I liked ’em and I collected ’em! And now I know what they are! Oh–and what fun to see that Lettered Olive for I have to say they are one of my most favorite shells. Maybe it’s cuz they can be so darned glossy with such pretty markings. Love them. Love fishin’ (and hush puppies!) as well as shellin’ too…. Love that you featured the Carditas too. They are such a favorite and I’m not quite sure what it is that always catches my eye. Sometimes the markings emphasize the the smaller to larger shape of the ribs… especially in the darker dramatic coloring??? Maybe? Well, thank you for a happy post. The shells are so pretty in your first photo, but I have to admit that it’s your BRACELETS that I can’t stop looking at. I love them!!! Fishing is on my to do list as well. Have all the equipment and I still haven’t gone… Congratshellations on your gallery display and reception! Looking forward to stopping in and seeing your beautiful shellography the next time we are down. We are slightly over a month away from our next trip to Sanibel. Unfortunately our trip is during a time period where there isn’t one of your shelling outings planned, but we join another time. 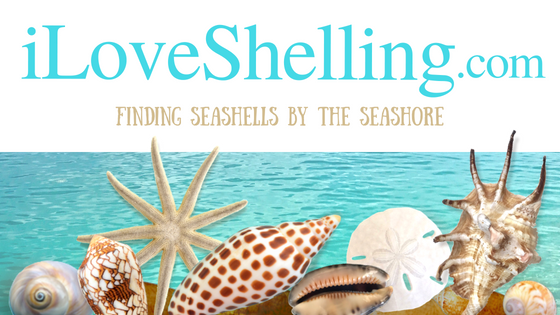 In the mean time, I’ll just keep reading the blog & feeling a bit closer to Sanibel via the photos of your shell finds. I was in Sanibel the third week of January and the shelling was hit or miss then, too. I thought, “well, love the one you’re with, right?” There were oodles of arks, dosinias, spiny jewelbox and other white shells, so I decided to pick up the most perfect, white shells I could find. When I got home, I gave my friends green glass jars of white shells with a dark fighting conch like the cherry on top. They absolutely loved them, which proves that beauty is beauty – common or rare. Yes, those carditas are great little shells. There is something exotic and unexpected about them too. Great pic of you with the fish – cute shorts too! On my last trip to Sanibel, I found a little purple sea whip attached to a beautiful calico clam shell. It’s so delicate, I keep it in my china cabinet. Pam, love your blog.We are coming DEC. Hope to take one of your cruises. We Need the Castaways Web cam on Sanibel. It kept me sane thru an awful winter here in Illinois. Who do I talk to to get it back on? Can you help? Thanks, Sandi from Illinois. I reckon that the reason why the sea whips attach to ponderous arks is partly because on Sanibel there are hardly any rocks for the sea whips to attach to, but they have to have a hard surface to settle and grown on. Most bivalve species live buried in the sand and “breathe” through siphons (soft tissue tubes) that reach up to the surface of the sand. And scallops are no good because they move around too much, swimming and so on. Arks don’t have any siphons. And of the various arks, the ponderous ark is common but presumably fairly long-lived. And I am assuming it likes to sit with that one end sticking up and the sea whips respond as if the live ark was a convenient, if tiny, rock. Where the shells were last week? Probably right under my feet. I found 84 different species in one week. Only two I know from my own country (Holland): jingle en slipper. Never found so many new species for my humble collection. indeed it was hard to find bigger gastropods. And some i found were alive. Made a great picture from al live paperfig shell with eyes olong the mantle on the columnella side . That can be spetacular too. Love to come back next year. Thanks for maintaining your site. Had lots of pleasure before and we stille have.